If you start planning your trip to Uttarakhand in time and you want to be your own tour , then you have many options to choose. We recommend that you set yourself some guidelines: a budget, the length of time you wish to stay, what you want to do and what you want to see. If you are a nature lover and want to enjoy the peace, quiet and endless calm of uttarakhand, then we recommend you give yourself ample time to do so. 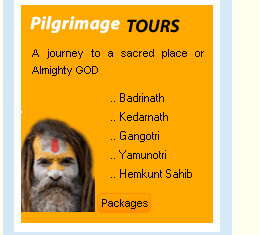 Our website is also organized for those who want to plan their own itinerary. Create your own trip with this easy-to-fill form. You can customize your tour by deciding your own favorite destinations, number of days you wish to stay in a particular destination. 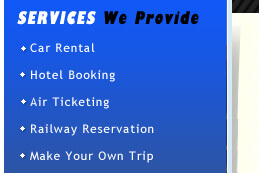 You may also ask rates for luxury as well as economy (or both) packages. 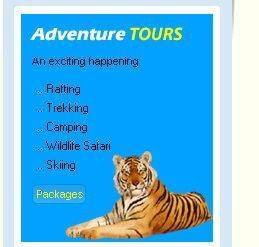 Please provide the following details to enable us to develop a customized travel package or tour itinerary for you.